The Sustainable Working Waterfronts Toolkit is a web-based information portal that contains a wealth of information about the historical and current use of waterfront space, the economic value of working waterfronts, and legal, policy, and financing tools that can be used to preserve, enhance, and protect these valuable areas. The Toolkit also features case studies of successful working waterfronts initiatives from communities around the country. Sharing this information with stakeholders – including waterfront businesses and industry, waterfront landowners, users and residents, and planners and governments – is an essential first step toward increasing knowledge, awareness, and implementation of the range of tools and options are available. The Final Report for the Sustainable Working Waterfronts Toolkit project was published in March 2013. Please use the links below to access an executive summary and the full report which provide a comprehensive overview of the Toolkit and contain the project team’s key findings and recommendations related to working waterfront preservation. Guidance for implementation including case studies and related resources. Struggling with where to start? The Sustainable Working Waterfronts Toolkit was developed by a subcommittee of the National Working Waterfronts Network with the generous financial support of the Economic Development Administration of the U.S. Department of Commerce. The Project Team involved staff from seven partner institutions: Coastal Enterprises, Inc., Florida Sea Grant, Island Institute, Maine Sea Grant, the National Sea Grant Law Center at the University of Mississippi School of Law, the Urban Harbors Institute at the University of Massachusetts Boston, and Virginia Sea Grant. The Island Institute, Maine Sea Grant, and the National Sea Grant Law Center provided project leadership and coordination. The Sustainable Working Waterfront Toolkit is a result of research sponsored in part by the U.S. Economic Development Administration under Investment No. 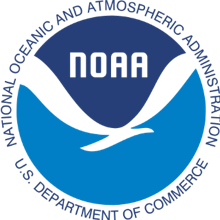 : 99-07-13873, with additional support from the Maine Department of Marine Resources, the 1772 Foundation, the Munson Foundation, the University of Florida, the University of Mississippi School of Law, Urban Harbors Institute, and Virginia Institute of Marine Science. Jody Thompson, Auburn University Marine Extension and Research Center,Mississippi-Alabama Sea Grant Consortium.